Buy Meghan Taylor a Coffee. ko-fi.com/talonserena - Ko-fi ❤️ Where creators get paid by fans, with a 'Buy Me a Coffee' button. 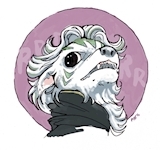 I'm a western Canadian artist who writes and draws the Prophecy of the Circle webcomic, tries very hard to make novels, and draws a lot of probably furry stuff with some not-quite-as furry stuff thrown in. Hello! My name is Meghan, and I'm Canadian and living on an island just off the west coast! I'm the creator of the Prophecy of the Circle webcomic, I write fantasy and science fiction stories, and I draw all sorts of things, both serious and non. I'm a bit of a furry, a definite nerd, and a drinker of much coffee and tea. Secured Payments. Support goes to Meghan Taylor's account. Upgrade Meghan Taylor to a yearly Gold Membership with a one-time payment.